Wifestyles Blog & Photography: Oops. Thanks to our wedding gift cards that 'want' became possible. On Sunday I decided it was time to wash our sheets. I eagerly, Googled "how to wash Egyptian Cotton Sheets"
1. Put the Egyptian cotton sheets in the washing machine without any other items. Manufacturers recommend washing Egyptian cotton sheets alone to ensure the sheets never tangle with other items, which could damage the soft fabric. 2. Set the washing machine to a gentle wash cycle with either cool or warm water. 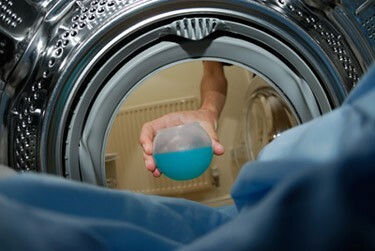 Add the proper amount of laundry detergent to the washing machine and turn it on. Allow the washing machine to progress through the entire cycle, but monitor the spin cycle carefully. A rough, extended spin cycle is not necessary for Egyptian cotton and can damage the fabric. Stop the spin cycle about halfway through if it appears the sheets have spun sufficiently and little moisture remains in the fabric. 3. Place the Egyptian cotton sheets into the dryer and dry them on either low heat or an air cycle only. Remove the sheets from the dryer immediately after the cycle ends. Shake out the sheets and either fold them to put them away or place them on the bed. -Wives make mistakes. No matter how hard you try... eventually you will mess up. -I'm not a failure, even though I ruined a set of 600 thread count EC sheets. -My husband loves me no matter what. -When in doubt... call your mom! ah that sounds awful! sorry you ruined them! lesson learned, i guess! I'm sorry that happened! We do learn from our mistakes though! I always forget what temperature the water should be on. Let's just say I have turned a few things pink before too, oops! Haha! Oh no! So sorry that happened! Atleast you know better for next time! And someday YOUR daughter will be calling you with the same story :) haha! I'm so sorry your sheets were ruined! oh my goodness in our first 3 months of marriage I decided to wash our down comforter. Who knew you weren't supposed to wash it in a normal washer and dryer?!!! It came out all clumpy and ruined. It happens to the best of us haha!! hahaha (sorry if I am laughing)...but your husbands reply was too cute. hahahahah, oh the laundry game.... even if I have a good win every now and again... I still am never totally sure I know what I'm doing. ha, i call my mom for everything. i don't know anything when it comes to these major domestic abilities. Oh no!! That's so frustrating. 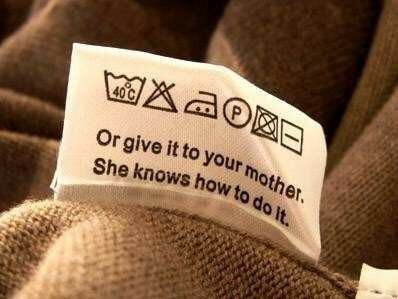 Mom's have the answer to everything... I don't know how they do it! Oh goodness. I love it when we can share and laugh with each other over newlywed mistakes. Thank God for understanding husbands! & Thanks so much for the award Ash! haha awww life's lessons...don't you hate when you try to be soo responsible and you looked everything up beforehand and then it still goes wrong? i've been there, done that!